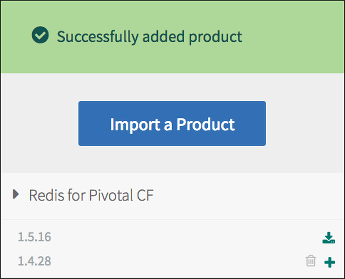 Refer to this topic for help adding and deleting additional products from your Pivotal Cloud Foundry (PCF) installation, such as Pivotal RabbitMQ® for PCF. Note: In Ops Manager 2.5, all product tiles use floating stemcells by default. This increases the security of your deployment by enabling tiles to automatically use the latest patched version of a stemcell, but it may significantly increase the amount of time required by a tile upgrade. Review the Floating Stemcells topic for more information. 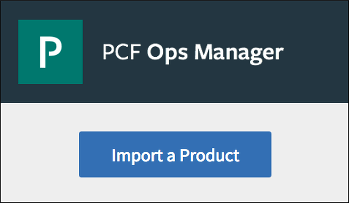 Download PCF-compatible products at Pivotal Network. If you cannot download products from Pivotal Network due to restricted network connectivity, see Installing PCF in Airgapped Environments. 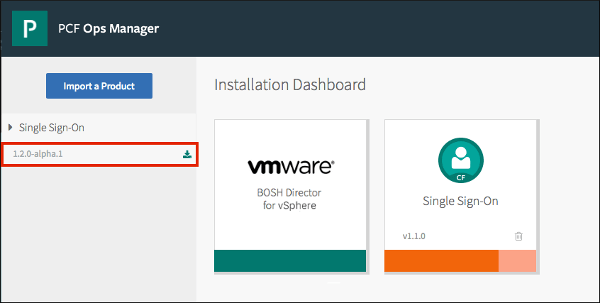 Navigate to your Ops Manager Installation Dashboard and log in. Select the .pivotal file that you downloaded from Pivotal Network or received from your software distributor, then click Open. If the product is successfully added, it appears in your product list. If the product that you selected is not the latest version, the most up-to-date version will appear on your product list. Add the product tile to the Installation Dashboard by clicking the green plus sign icon. The product tile appears in the Installation Dashboard. If the product requires configuration, the tile appears orange. If necessary, configure the product. 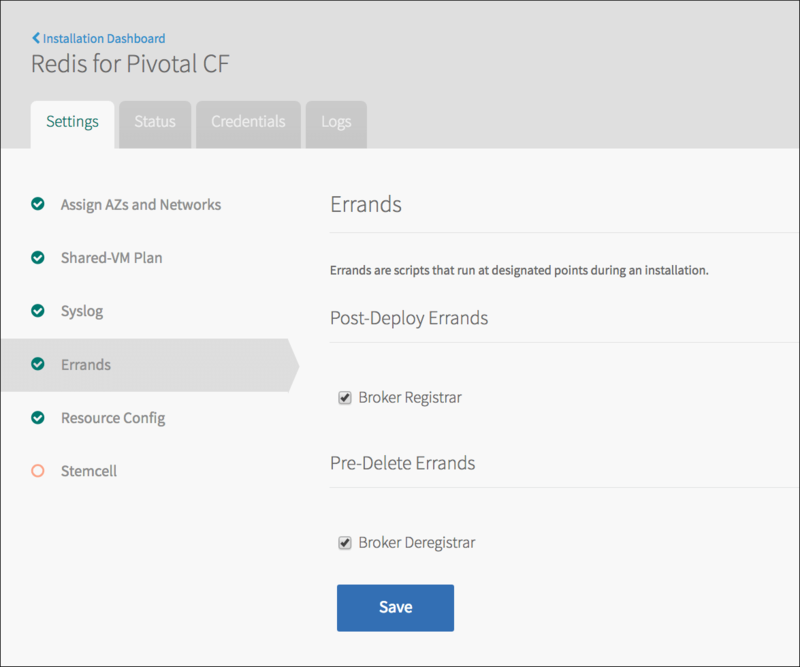 (Optional) In the product configuration view, select the Errands pane to configure post-install errands or review the default settings. Post-install errands are scripts that automatically run after a product installs, before Ops Manager makes the product available for use. For more information about post-install errands, see the Errands topic. Note: By default, Ops Manager reruns errands even if they are not necessary due to settings left from a previous install. Leaving errands checked at all times can cause updates and other processes to take longer. To prevent an errand from running, deselect the checkbox for the errand in the Settings tab on the product tile before installing the product. The Broker Registrar checkbox is an example of an errand available for a product. When you select this checkbox, this errand registers service brokers with the Cloud Controller and also updates any broker URL and credential values that have changed since the previous registration. Click Review Pending Changes, then Apply Changes to start installation and run post-install lifecycle errands for the product. Ops Manager provides a way to upgrade products by connecting your Installation Dashboard with Pivotal Network using a API token. Once you have uploaded a product, all subsequent product upgrades appear automatically in your Installation Dashboard. Note: Using the Pivotal Network API is only available if you have access to the Internet since communication between Ops Manager and the Pivotal Network is necessary to import your products. If you are on an isolated network, do not save your API token. 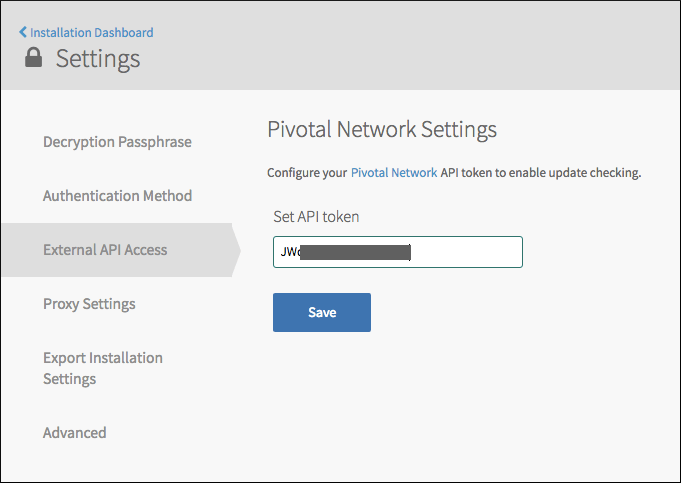 Navigate to Pivotal Network and log in. Click your user name, located in the upper top right side of the page. In the Edit Profile tab, copy your API Token. In the External API Access tab, paste your API Token. Once you save the Pivotal Network API Token to the Ops Manager Installation Dashboard, the latest versions of your existing products will appear in your Installation Dashboard. Upgrade your product to the latest version by following these instructions. Locate and download the product version you want to upgrade to by clicking on the green download icon. When the download is complete, refresh the page to use the product. If necessary, configure the product. Click Review Pending Changes, then Apply Changes. You can use the Ops Manager API or the Review Pending Changes page to apply pending changes only to BOSH Director when you stage multiple products in a new installation or as part of an upgrade. From the Installation Dashboard, click the trash icon on a product tile to remove that product. In the Delete Product dialog box that appears, click Confirm. Note: You cannot delete the BOSH Director product. After you delete a product, the product tile is removed from the installation and the Installation Dashboard. However, the product appears in the Available Products view.